Joining the already released 2015 Civic Sedan, Civic Coupe and Civic Si, the 2015 Civic Hybrid and Civic Natural Gas vehicles provide consumers with additional choices for even greater fuel efficiency and environmental performance from an already fuel-efficient lineup. 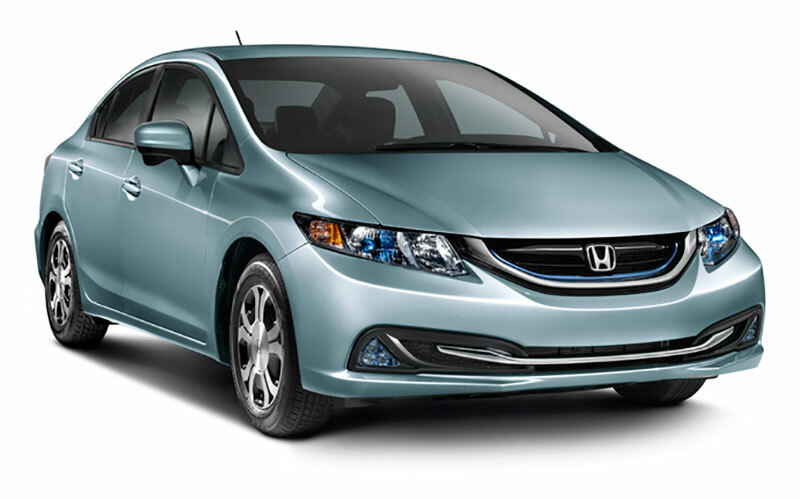 The 2015 Civic Hybrid launches at Honda dealers nationwide on November 5 with a manufacturer’s suggested retail price (MSRP) starting at $24,7352. The 2015 Civic Natural Gas goes on sale at Honda dealers in 37 states beginning on November 19 with an MSRP starting at $26,7402. With an EPA rating of 44/47/45 city/highway/combined1 for the Civic Hybrid and an EPA rating of 27/38/311‡ for the Civic Natural Gas, the fuel efficient Civic models were recognized by the American Council for Energy-Efficient Economy (ACEEE) as two of the top ten “greenest vehicles of 2014” in their annual “Green Book® Online” ranking of environmentally-responsible vehicles. The Civic Natural Gas was also named by the industry experts at Kelley Blue Book to their annual KBB.com list of the 10 Best Green Cars, lauding its use of a clean-burning fuel that can be sourced from North America. Representing a high level of sophistication with great value, the 2015 Civic Hybrid and 2015 Civic Natural Gas both feature the 7-inch touchscreen Display Audio to view and control audio, phonebook, media, vehicle information, Next-Generation HondaLink™ and available Honda Satellite-Linked Navigation System™. A rearview camera with dynamic guidelines is standard on all Civics and all 2015 model year Honda vehicles. Smart Entry with Push button Start is standard on the Civic Hybrid. Other standard and available features on both models include the Expanded View Driver’s Mirror, LaneWatch™ display and automatic climate control. The Civic Hybrid is available in standard, Navi, Leather, and Leather Navi model variations, all with a continuously variable transmission (CVT). 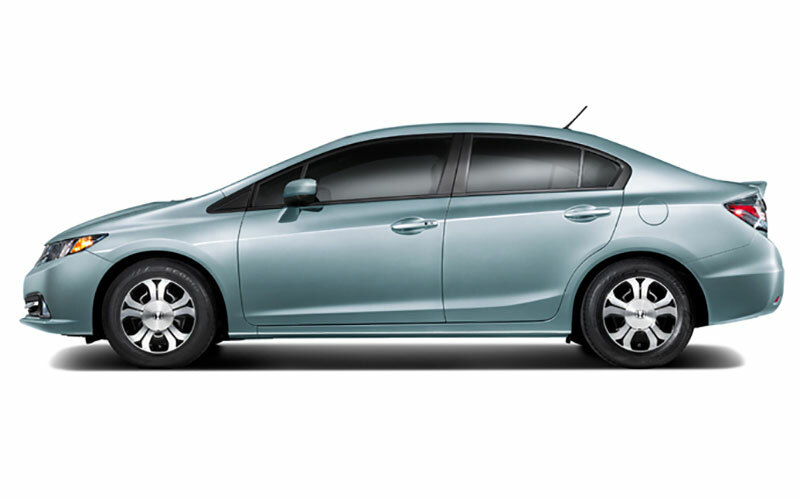 The Civic Natural Gas comes in a standard and Leather Navi trim, both with a 5-speed automatic transmission. Both models are assembled at Honda Manufacturing of Indiana located in Greensburg, IN3. 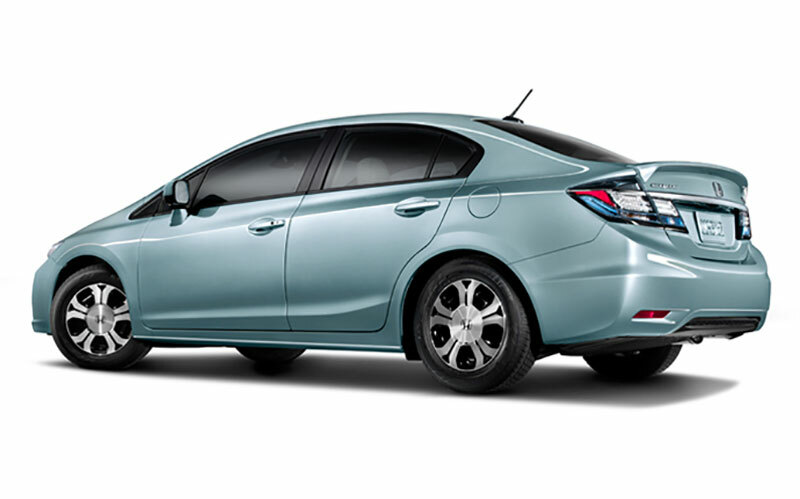 View, build and price a 2015 Honda Civic Hybrid and Civic Natural Gas at automobiles.honda.com/civic. Honda has a long history of environmental innovation, including the retail introduction of America’s first hybrid (1999 Honda Insight), delivery of the first fuel-cell electric vehicle in the U.S. (2002 Honda FCX) and the first gasoline-powered vehicles in the hands of consumers to meet stricter emissions standards, including the 1996 Honda Civic, the first gasoline Low Emissions Vehicle (LEV); the 1998 Honda Accord, the first gasoline Ultra-Low Emissions Vehicle (ULEV); the 2000 Honda Accord, the first gasoline Super Ultra-Low Emissions Vehicle (SULEV) in the hands of consumers; the 2001 Civic Natural Gas, the first vehicle to qualify as an Advanced Technology Partial-Zero Emissions Vehicle (AT-PZEV); and, most recently, the 2014 Honda Accord Plug-In, the first Super Ultra-Low Emissions 20 Vehicle (LEV 3/SULEV 20), now available for lease and sale in California and New York state.